Stylishly restored and decorated, the Porters’ Cottage built in 1880 was originally establíshed as Railway Porters accommodation. 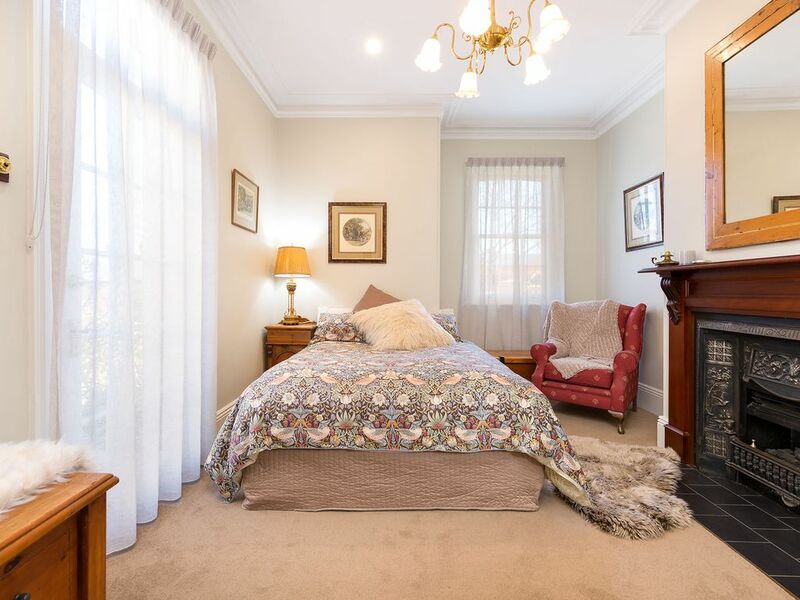 Fully equipped to provide a comfortable and convenient location for your Albury CBD stay . Offering 3 large bedrooms with quality linen, a luxurious bathroom and well appointed kitchen and laundry. With on site car parking and only 500mtrs to Dean Street and a few blocks to the Railway Station, Porters’ Cottage offers affordable luxury. Beautifully appointed. Lovely ambience. We loved it. Even though the property is between the railway line and the main road there was no noise as the thick walls are wonderful insulation. Fabulous central location. We were able to walk everywhere. Lovely place to stay- so convenient to the city Centre! Gorgeous property and the owners have stocked it with all the little things that really make it a home away from home! Clean, spacious and comfortable. Surprisingly quiet and everything we needed to have a great weekend exploring Albury & surrounds. Thank you Liz , I’m glad you enjoyed your stay . We try to provide luxury accommodation at a realistic price . You are welcome back anytime. Very well presented. Clean and tidy with everything you wanted included. Great location, everything within walking distance. Air conditioning was well appreciated, particularly when you have children to keep cool. Only negative was that the air conditioner was not effective in the downstairs bedroom, particularly at night when the temperatures were around mid 20's. Very well renovated and enlarged 1880's two storey semi detached house. We had a great stay in this very comfortable house. The temp was in the 40's, but air conditioning coped. We loved being 5 mins walk or drive from everything. Two points for future guests: kitchen and bathroom bench heights are designed for tall people, so might be a little high for some. Also, stairs are steeper than today's regulation - as common with many properties of this era, and bath/shower access is high, so older or less agile guests could struggle with sleeping upstairs, or washing. NB. Main bedroom is on ground level - so no issue there. Owner Virginia is very good communicator, helpful and a pleasure to deal with. We were very thankful that she turned air conditioning on many hours before we arrived so we would be comfortable in Albury heatwave. Thanks Steve and Kathy , I appreciate your feedback and agree with all the points! Should the owner see fit to upgrade in the future, your points are exactly what I would propose . They are such beautiful old properties and such a great location, I’m glad you enjoyed your stay !